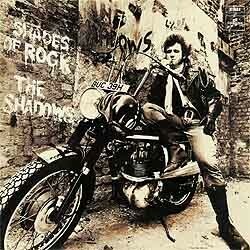 This number, chosen to close up proceedings on The Shadows’ Shades Of Rock album (see on ), disappoints. Despite Hank Marvin’s frequently professed admiration for Ray Charles, one listens in vain for that vital spark, something to cut through the sleep-inducing artifice and grab the attention. The fade-out comes not a moment too soon. Much more involving, even if it only saw the light of day, as far as the general record-buying public was concerned, at the century’s close (recorded in 1962?1963? 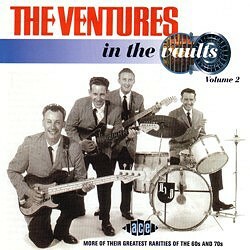 : see Clive Poole in Pipeline 46  4), is the version from The Ventures, with funky lead guitar breaks (the call and response patterns are particularly catchy) and an appealing tightness and bounce. There has been some grumbling about the Vaults material, but in my view there is nothing beyond the level of nit-picking to complain about generally (and much for Shadows fans to envy, what an astonishingly rich and varied horde! ); and there is nothing at all to deplore in this particular case, surely.